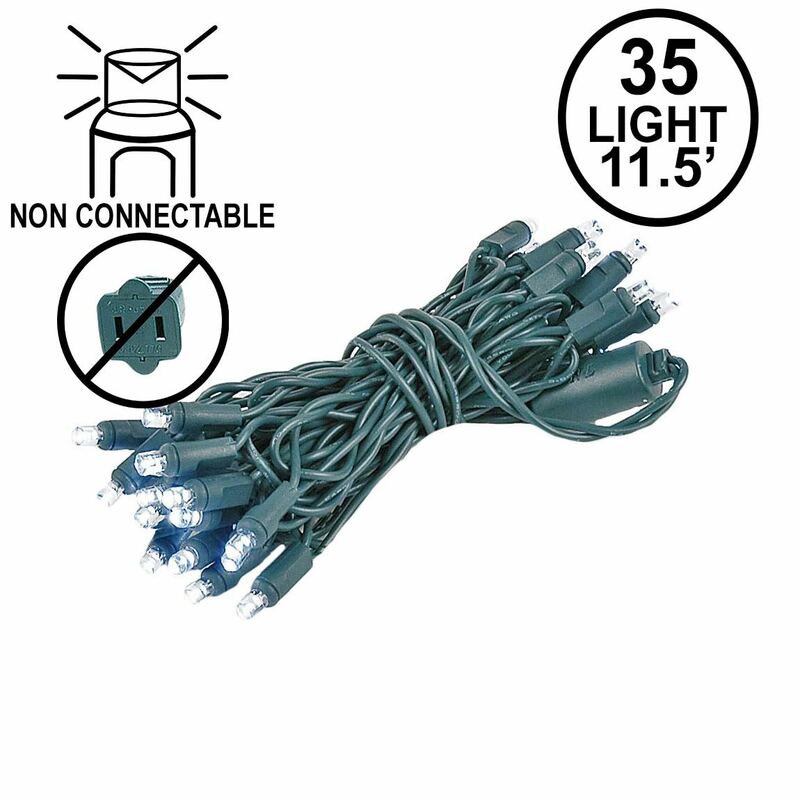 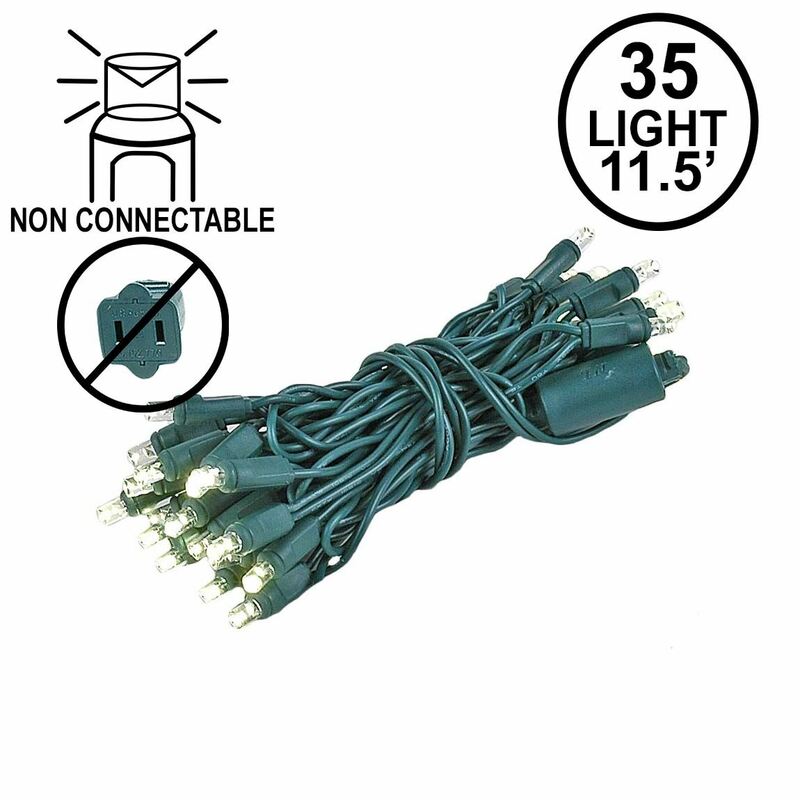 35 light pure white non-connectable (without end-to-end plug) LED Christmas light light on green wire with ultra bright 5mm wide angle concave bulbs. 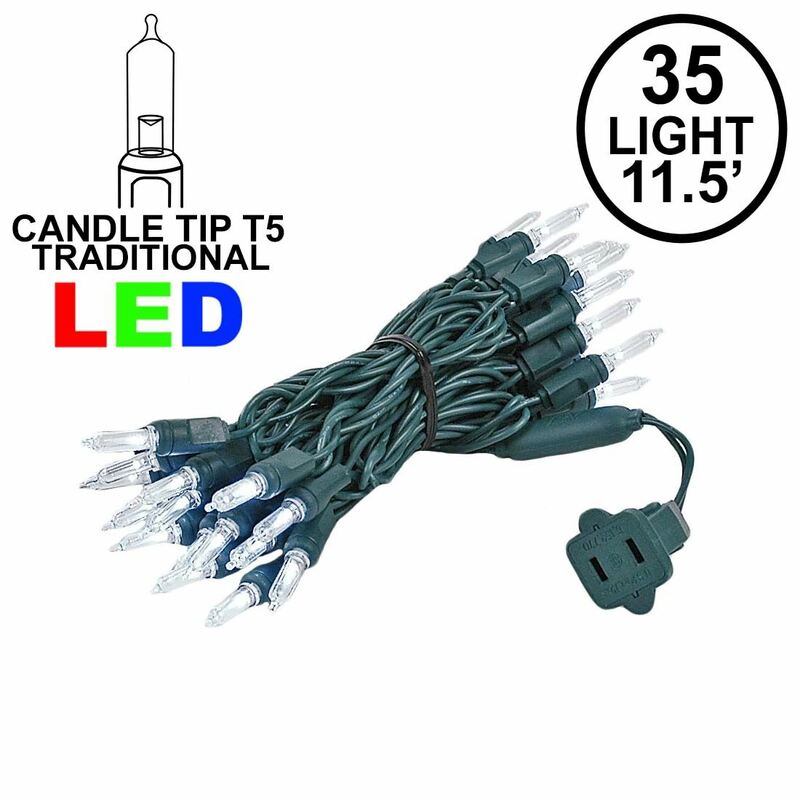 These long lasting LED Christmas lights are perfect for craft projects using glass blocks and wine bottles because the do not have the end to end plug at the end of the string. 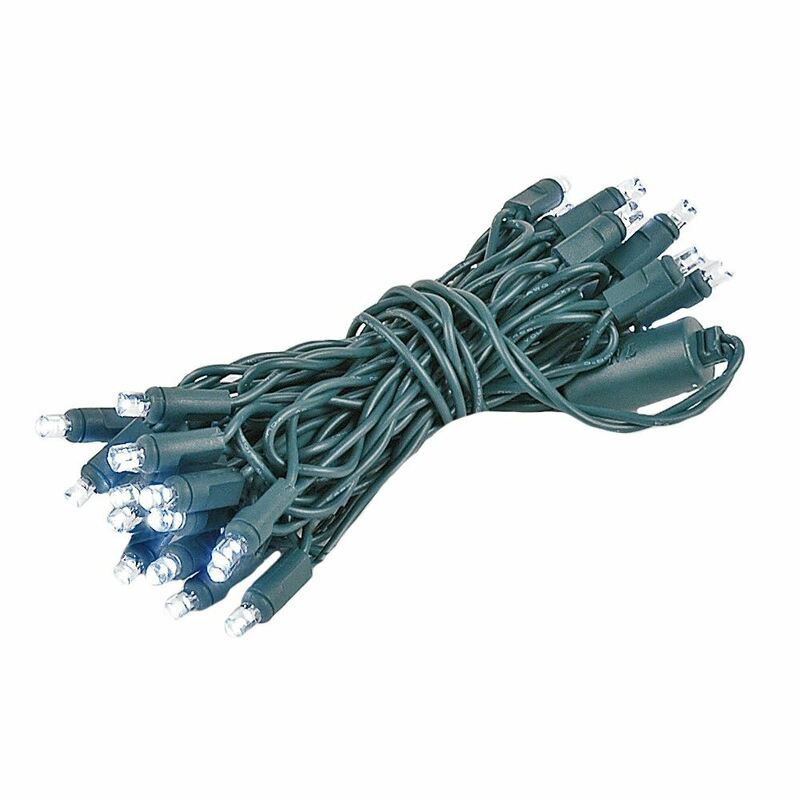 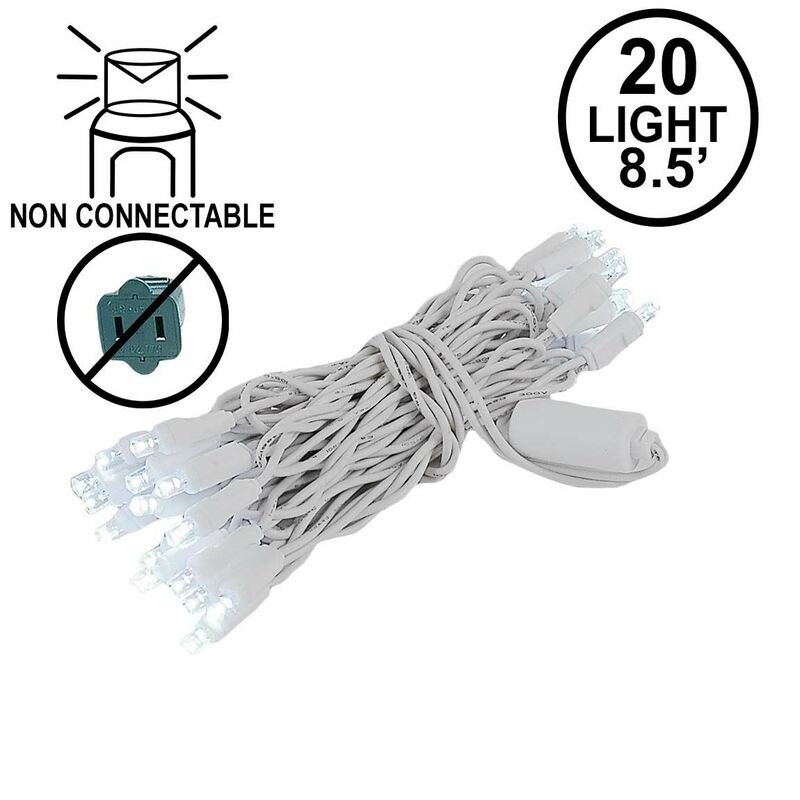 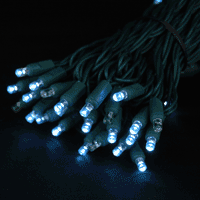 they are also great for other projects that require shorter LED light strings. 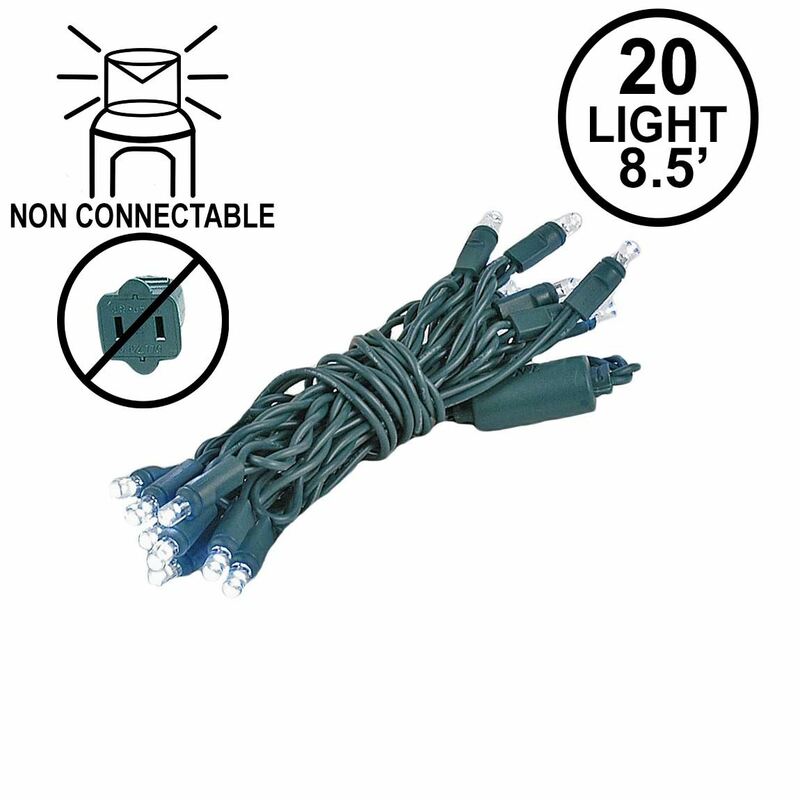 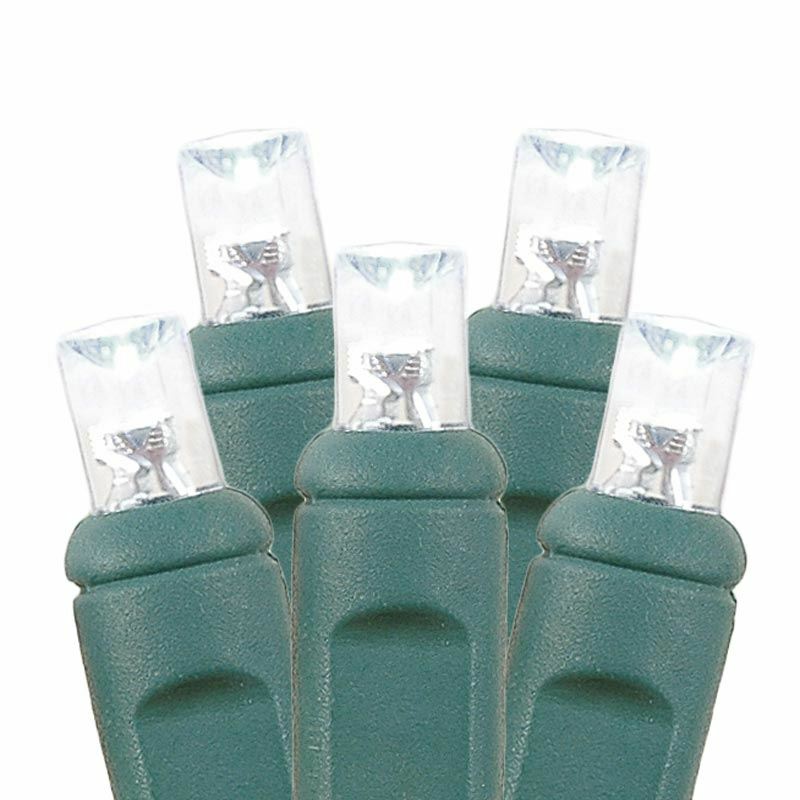 All our pure white Christmas lights are UL Listed for indoor and out door use.